So, what do we do? To put it simply, we study people. And it’s possibly one of the most vague and overly ambitious fields of study. Assimilating the purviews of many different disciplines into one study is the name of the game in anthropology, which can be a daunting task. However, a firm knowledge of the people who make up this world we call home is crucial to success in most careers­—especially those in the world of advertising. 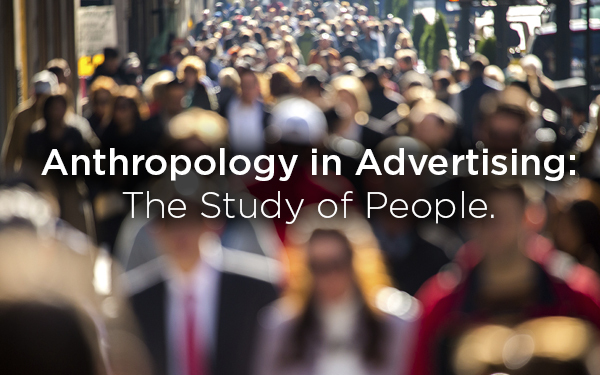 Anthropology in Advertising: How does it apply? Advertising is a people’s business. The agency (made up of people), talks to clients (more people), and advertises products sold by these clients (still people) to consumers (also people) in a way they (even more people) will respond to. See how many times I used the word “people?” Regardless of whether or not that word abuse was good writing, we have to acknowledge that knowing your audience is advertising’s bread and butter. Whether you’re dealing with clients, consumers or even coworkers, you deal with people. As legendary ad man, David Ogilvy, said, “Advertising people who ignore research are as dangerous as generals who ignore decodes of enemy signals.” And he’s right. You can’t be successful in the industry if you don’t research your audience. So what do you need to do above all else to attract more consumers? Understand your audience. Who is your audience? People. So what you really need to do is understand people. We all have to study people and know who they are, what they want and why they want it. The key is research. And when we research, that’s anthropology at its finest. So when people ask me what I plan to do at an ad agency with a degree in anthropology, I tell them I’ll do what I’ve always done: study people. Advertising and anthropology go hand in hand, so it’s no surprise I felt completely at home the first time I stepped foot inside Current360.  If you’d like to discover more about your consumers through research to improve customer service or overall sales, learn what Current360 and CIMA Insight can do for your business. Because when it comes to understanding people, we do that.